This show is held once a year during March for 4 days at Carlton Gardens, Victoria Street, Melbourne. We visit each year, there is a wonderful display of flowers, garden structures and various other displays of University students. This show displays lot of famous Australian Horticulturists and Landscaping Teams handy work. Plenty of entertainment for children. Lots of food stands available however a picnic lunch would be great as there is plenty of grassed areas for sitting and relaxing so that you can take in the peace and serenity of the surrounds. The Gardens are very close to Melbourne CBD and shopping district. Also very close to public transport if you don’t want to drive. Exhibition building is grand building and the gardens are awesome for these wonderful displays. The magnificent main hall of the building was dedicated to floral arrangements of incredible creations and compliment to the artist’s imagination. The architecture adds to the whole ambiance. The indoor floral displays were very impressive and of a high standard. The annual hanging baskets competition is one of my favourite elements of the Show. There are scores of entries, and the best are not only pretty but clever and aesthetically pleasing. The Carlton Gardens were transformed into various sections of stalls for the gardening enthusiasts and gardening competitions. We purchased some bulbs which we thought was great value, as well as getting several free samples of different types of fertilisers. Lots of free gifts, and great to see some of the celebrities from Better Homes & Gardens. What an amazing experience. 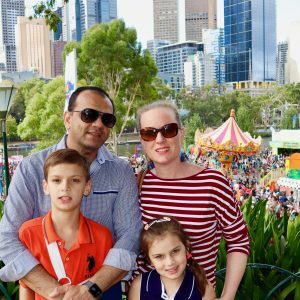 The flower displays are amazing, and a stroll through the various show gardens was a wonderful experience for whole family and gave us much food for thought. Staff all around the venue were very happy and helpful to show you their products. Great day out and would definitely attend again. 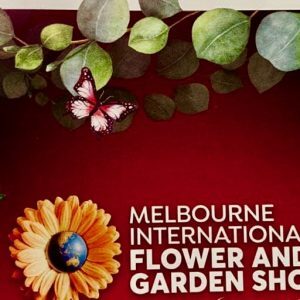 The dates for the 2019 Melbourne International Flower & Garden were March 27th – March 31st. Tickets for the 2019 Show were. The cathedral is widely considered to be one of the finest examples of French Gothic architecture. The scale of Notre Dame was very powerful and the architecture was spectacular. We were amazed by the detail and the sheer feeling the building gave. Inside it is as most Cathedrals are, full of beautiful, dominating sculptures, paintings of Jesus and religious scenes. However this Cathedral simply has an even more powerful hold on your imagination and attention than any other, which we have ever been to. It was eerie, yet strangely comforting at the same time. We were spooked a couple of times and yet found a strong spiritual bond with it and one might say with God within the building.This building possesses a unique ability to bring about a feeling to anyone of any faith of unity with oneself with their surroundings and those around them. Over its vast history the Cathedral has suffered considerable damage, not least during the French Revolution in 1786. Fortunately it was sympathetically restored and continued to attract attention from around the world. The Cathedral has played host to many religious ceremonies and historical events and despite their own religious beliefs people of all different faiths and nationalities still marvel at it’s unique grandeur. The Cathedral of Notre Dame is probably best known for its relation to the story of the Hunchback of Notre Dame, made famous by the numerous cartoons and movies inspired by it. But it is the French Gothic Architecture that remains the biggest draw for visitors from around the world, an unrivalled, perfect example to this day. Entry to the cathedral was free but to climb to the top, there was a fee and a huge line. The stain glass was worth seeing. This is a truly amazing building. The details were incredible.We would strongly recommend that you visit this place and hope that you get as much out of the experience as we did. If we visit Paris again, we would love to visit the Notre Dame again.